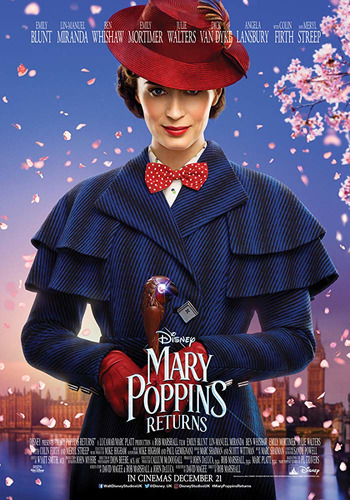 t’s been many years since Mary Poppins visited Jane and Michael Banks and worked as their magical nanny. Now grown, Michael (Ben Whishaw) is a widower with three children: Annabel (Pixie Davies), John (Nathanael Saleh) and Georgie (Joel Dawson). When the bank is about to repossess his childhood home after he misses several payments, his sister Jane (Emily Mortimer) helps him search through their father’s papers for the shares they own in the bank.